My daughter and I took a walk around Wilderness Park yesterday after we finished our Mother's Day brunch. The weather was a bit cold and the park was nearly deserted, which made our walk very enjoyable. Just us and the birds. 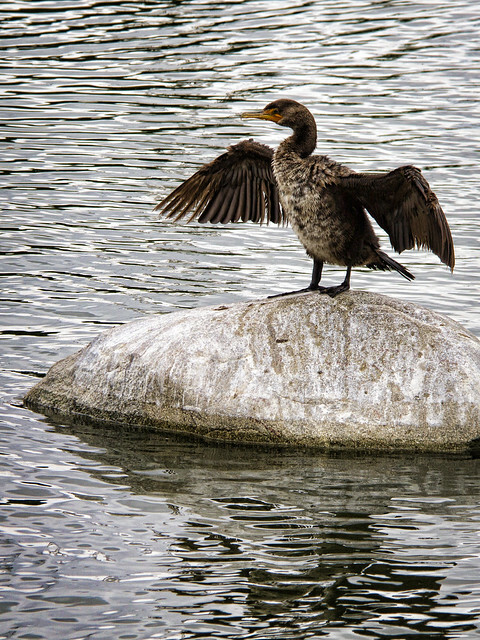 There were quite a few cormorants, all resting on rocks in the lake and all with their wings outstretched. 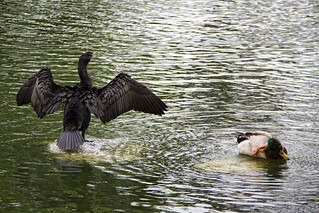 There are several theories about why birds do this, but the most common theory for cormorants is that they are air-drying their wing feathers. Their feathers are not as water-repellent as those of other birds. This makes it easier for them to dive for their food, but makes the air-drying a necessity.